Dolce de leche has got to be one of the greatest things of all time. 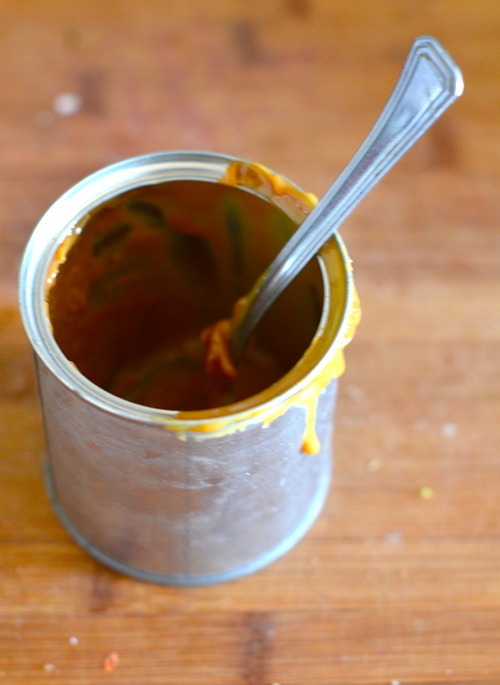 It’s a very simple idea- take sweetened condensed milk and caramelize it- whoever thought of it was a very, very clever person. BUT whoever realized that instead of painstakingly stirring a pot of sweetened milk without burning it, you could just put a whole can in a pot of boiling water and leave it for 3 hours, and when you return the insides will have turned from white to auburn, and the taste will have changed from sweet milk to the richest caramel you could ever hope to know? Well that person was straight up genius. Periodically, if I know I’m going to be home for 3 hours, and I’m feeling uncharacteristically organized, I pull out a big pot and make some dolce. It’s the sort of thing that makes everything feel a touch nicer- basic chocolate cookies? Sandwich some dolce in the middle. An end of the evening coffee? Stir in a spoonful of the good stuff. A bowl of vanilla ice cream? Drizzle some of this on top for a totally decadent dessert. Or better yet- put it in your ice cream. 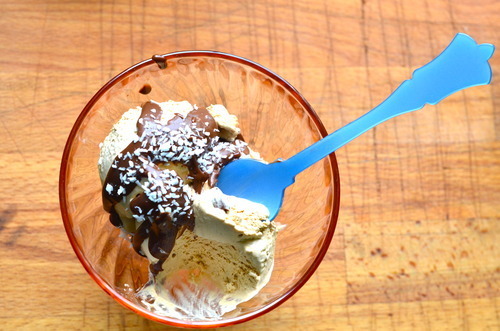 The blogosphere has been going crazy for a couple months now with this revelation that you can make fabulous ice cream without an ice cream churner- all you do is whip up some cream and condensed milk and throw the whole thing in the freezer. But, if you happen to have some dolce kicking around in your cupboard, you might as well use that instead. This is truly one of the simplest things I think I’ve ever made. And the texture of this ice cream is unreal. Unreal. Most ice creams that don’t use a machine tend to get icy quickly, to get so hard it’s difficult to scoop them, and to lack that smoothness of really good ice cream. I’m not even kidding you- this has the texture of soft serve. A week later, it still had the texture of soft serve. It is soo smooth. The only possible thing that might make this better, is if you made a ganache with coconut milk and poured that, while it was still warm, over top of your ice cream. It is the perfect way to celebrate Cinco de Mayo, and also most nights of the week. So here is how you make this, and you should probably make this right away. *To make dolce de leche take the whole can, unopened, and put it in a pot of water with at least 1 inch of water above it. Bring it to a boil. Boil it for 3 hours topping up the water periodically- if the water gets too low the pressure in the can can change, and apparently it can explode, so be mindful. After 3 hours take it out and let it cool completely before opening. 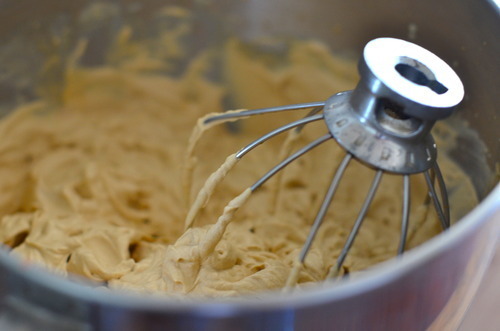 In the bowl of standing mixer fitted with a whisk attachment whip the dolce de leche, heavy cream, and vanilla until it is very thick- about 10 minutes. 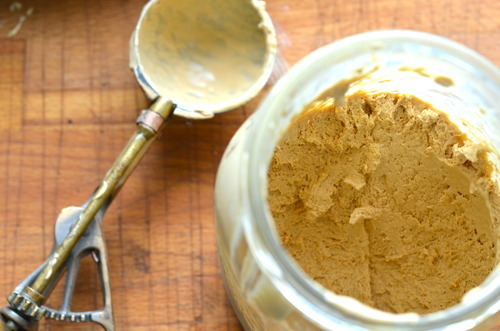 Put into an air tight container and freeze for at least 4 hours, or preferably overnight. In a saucepan bring the coconut milk up to a boil. Pour over the chocolate, let it sit for 30 seconds and then whisk until it is smooth. 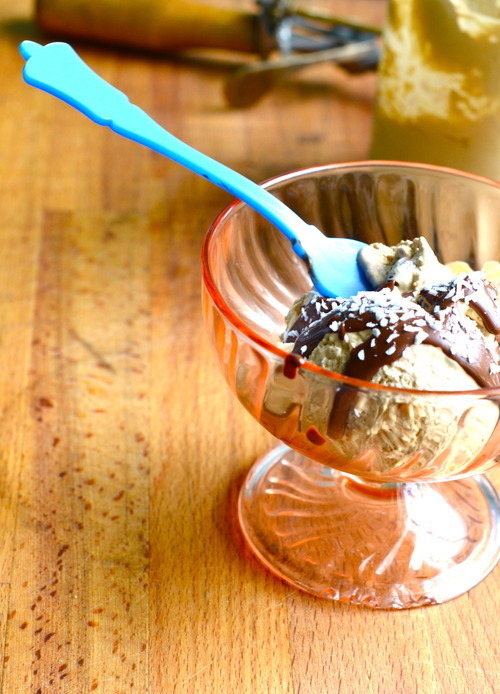 Scoop your ice cream, pour your ganache, and eat to your hearts content!